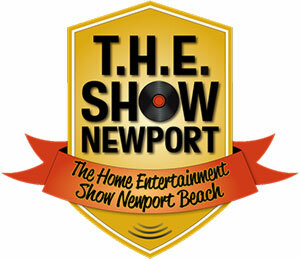 The Home Entertainment Show Newport (T.H.E Show) 2016 marks the sixth year of this informative, fun, and relaxing southern California event. T.H.E. Show Newport 2016 was held at The Hotel Irvine in California from June 3rd through 5th, with a special VIP and Press Day on June 2nd. Visitors to T.H.E. Show Newport could visit the Headphonium exhibitors, the Marketplace, Vinyl, CD, and Accessories vendors all in one location -- a giant 15,000 sq. ft. Grand Ballroom within the center of the Hotel Irvine. A very special event in 2016 was a memorial to Richard Beers, who was the President of T.H.E. Show and passed away this year. Attendees of T.H.E. 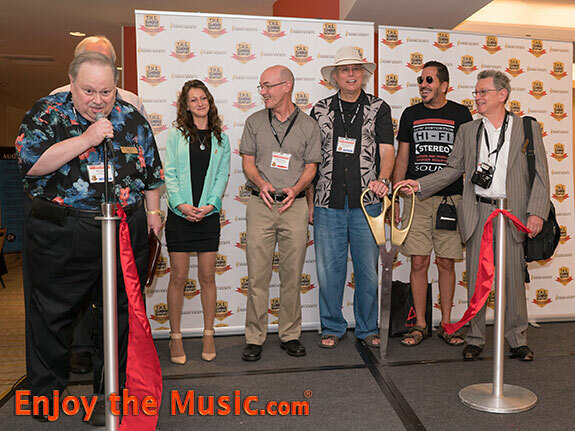 Show Newport 2016 enjoyed gourmet food trucks, a giant high-end auto show, live entertainment day and night, wine tasting, plus many more popular educational seminars orchestrated by the Los Angeles and Orange County Audio Society (LAOCAS). Of course you can enjoy our T.H.E. Show 2015 coverage here. Darin Fong Audio, Quality Record Pressings, Acoustic Sounds, HDtracks, Chesky Records, Noble Audio, and Linear Tube Audio. Kimber Kable Axios, Comply, Audeze, Manley Labs, Magic Bus, and Sony Hi-Res Audio. Nordost, The Absolute Sound, MrSpeakers, 64 Audio, and MIT Cables. Featuring Lumin White, Mastersound, Torus Power, Mark Levinson and Revel. Diesis Audio, Angstrom Audio Lab, Aqua Acoustic Quality, Antipodes And Anticables. T.H.E. Show Newport 2016 invited special VIP and members of the press to their Preview Day open by invitation only. You could register to secure your free spot to T.H.E. Show Newport! Preview day is Thursday, June 2nd. This is T.H.E. Show's 2nd annual Preview Day, dedicated to Press & VIP attendees. This was a great free opportunity for all those wishing to spend exclusive time with exhibitors before the crowds swarm the rooms on Friday, Saturday, and Sunday. Over 250+ companies have already signed up! Main event is open to the public June 3rd through 5th, 2016. T.H.E. Show Newport provided you with a preliminary list of participating exhibitors a couple weeks prior and also with a confirmed list of room #s upon your arrival. Whichever dates you chose to attend between June 2nd and 5th, please be sure to Register for T.H.E. Show Newport as soon as possible. This will secure your pre-registration as a VIP/Press member giving you access to T.H.E. Show Newport exhibit rooms and booths on all four days. You can also check out their Facebook event page at this link. T.H.E. 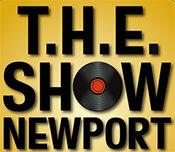 Show Newport 2015, 2014, 2013, 2012 and 2011 plus T.H.E. Show Las Vegas 2014, 2013, 2012, 2011, 2010, 2009, 2008, 2007, 2006, 2005, 2004, 2003, 2002, 2001, and 2000.